Happy Thursday, friends! Who already wants another three day weekend? On Friday, one of our friends was in town to hike Mount Baker, so we met up with him downtown at the Pike Place Public Market. We got downtown a bit early and found a cute little coffee shop and bar overlooking the Puget Sound, so Ryan and I relaxed and enjoyed some good German beer. 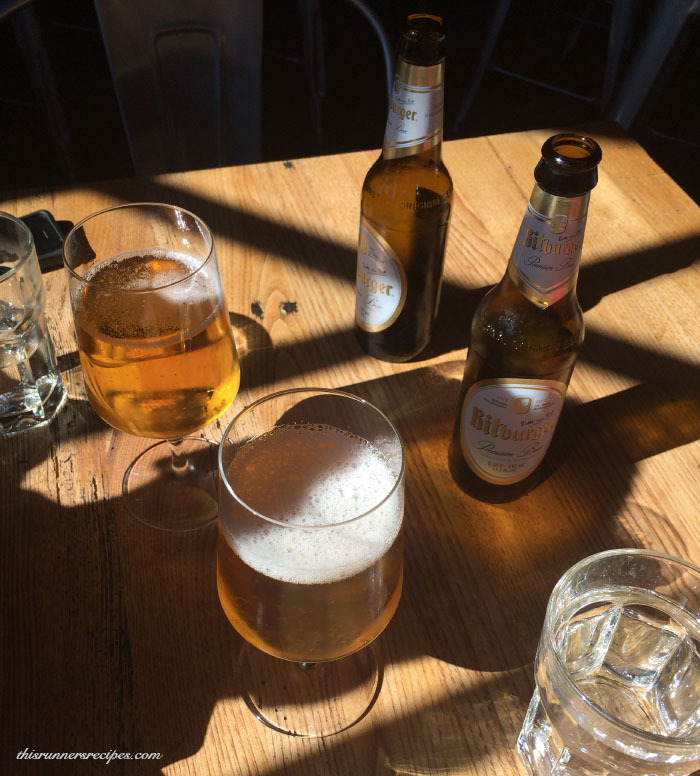 Bitburger was one of the beers I drank frequently when I lived in Germany—so light and refreshing! Once we met up with our friend, we explored the market and then enjoyed some seafood for dinner at Lowell’s. I totally forgot to snap photos, but the food at Lowell’s is amazing. Ryan and I went there when we visited Seattle back in February and I highly recommend it if you’re looking to enjoy some fresh seafood. It’s right in the Public Market and has a wonderful view of the Sound. The boys ordered prawn tacos and I enjoyed a salmon sandwich. Since Ryan is the best husband ever, he let me give him my sandwich bread in exchange for one of this tacos. After our meal, we went to the REI Flagship Store, aka 80,000 square feet of outdoor heaven. 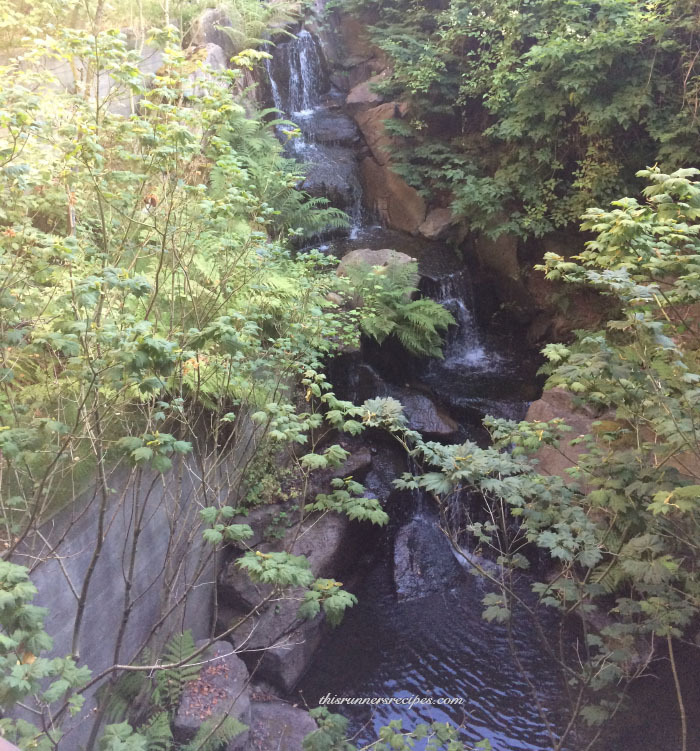 There’s a waterfall right outside the store, so you barely feel like you’re in the middle of the city. I found about a billion things I wanted to buy, including a two-person kayak, some Brooks shoes, a 9-speed bicycle, and a hiking backpack for Charlie so he can start doing his share of the work. 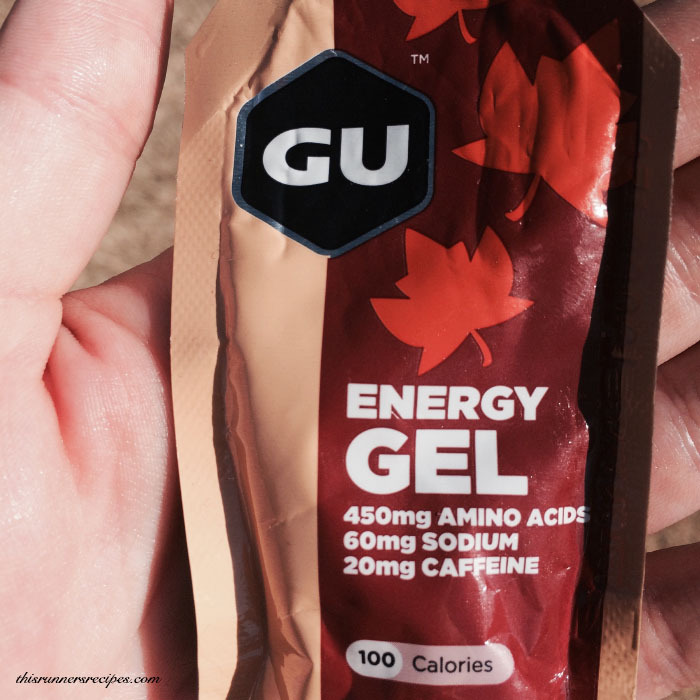 While I didn’t purchase any of those items, I did buy some maple bacon Gu there (which I talked about last week) to try on my long run on Saturday. The verdict? It’s actually really good! It’s not so much a bacon flavor as a subtly salty maple flavor. It’s not super sweet like some GUs and sat really well on my stomach. 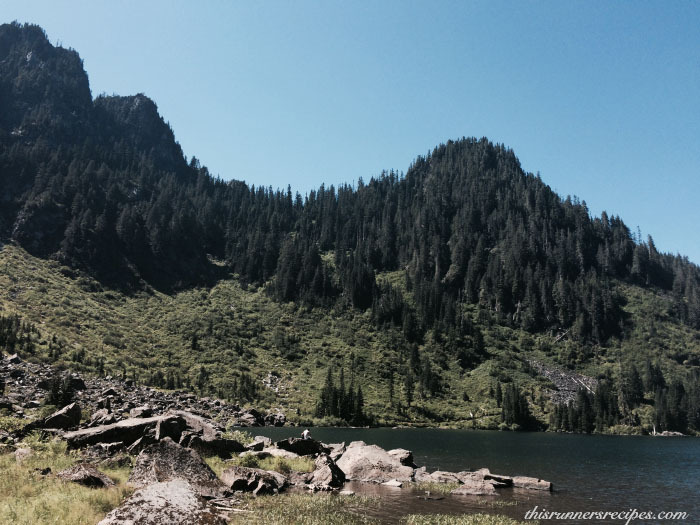 We spent our Fourth of July hiking at Lake Twenty Two in the Mount Baker-Snoqualmie National Forest. These was an easier hike in terms of elevation gain (only about 1300 feet) but we still covered 7 miles over very technical terrain, including several stretches that were all rocks. It felt good to do an easier hike, especially after a 12 mile run that morning and several weeks of steep hikes. We picnicked by the lake and soaked up some sun. The views here were simply amazing. Ryan and I are getting totally spoiled and our pretty sure we can only live where there’s mountains. Charlie meanwhile has embraced his inner mountains goat and can scramble up those rocks no problem. After our hike, we had to get ice cream because July is the one month a year where I actually crave ice cream. Since Charlie is spoiled, we got him a little pup cup of vanilla soft serve, which lasted all of 30 seconds when we gave it to him. 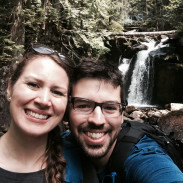 Sunday, we went to the REI store in Redmond because we are obsessed to buy wedding presents for a close friend who’s getting married in a month. Why didn’t we think to register at REI? Women’s running clothes were on sale and I am incredibly proud of myself for not buying any. We did, however, indulge ourselves with a stop at Top Pot. Glazed chocolate old-fashioned donuts are the best treat out there. After a few weeks of researching it, I’m venturing into home fermenting! We’re not about to brew our own beer anytime soon since it requires a ton of equipment and we live in an apartment (although unpasteurized beer is amazing). Instead, I’m attempting to make my own sauerkraut. Ryan’s admittedly little scared I’m going to make him sick, while I’m super excited about my food blogger science project. 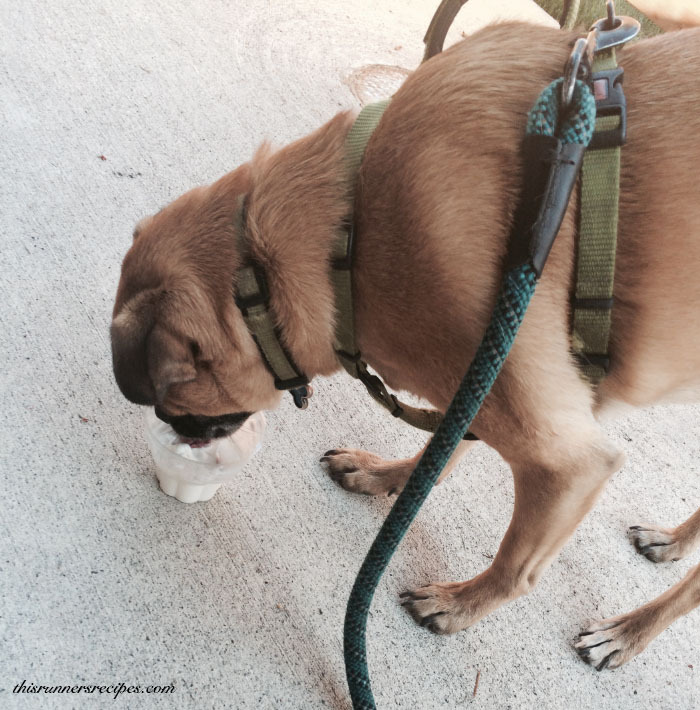 I’m linking up today with Running With Spoons for Thinking Out Loud Thursday! Do you home ferment anything? What foods do you love to make from scratch? What store are you currently obsessed with? Would you rather live in a beach house or a mountain house? 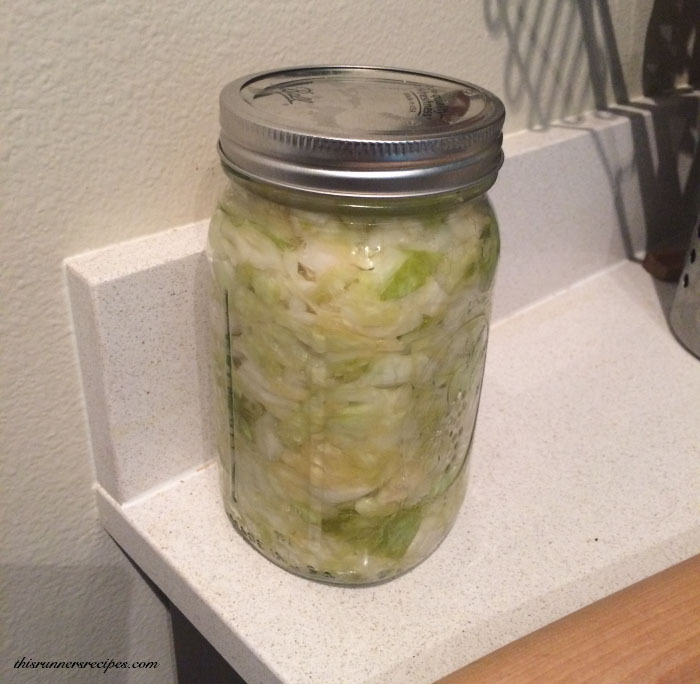 I need to make sauerkraut from scratch, but I have a feeling that it would end up on the floor somehow! I would love to make kimchi, too. Just to be awesome. There isn’t much that I make totally from scratch anymore, sadly. Small kitchen and ridiculous schedule. Plus. Zoe. Small apartment kitchens are rough. Ryan had such a small kitchen in Detroit and making anything there was near impossible. Hahaha yes and plus Zoe! That’s like life with Charlie. Pug hair. everywhere. Looks like life is great out west! I have always said I would love to live on the beach, but I haven’t spent much time in the mountains. I just love being near the ocean! Wow, looks like you guys had an awesome 4th! I crave ice cream year-round, so props to you for that self control 😉 I love REI, but I LOVE that waterfall next to it even more. Gosh, I’m looking forward to the water/trees/hiking/mountains near Seattle! Right now, I’m currently obsessed with Whole Foods (which will never change) and District Donut (a homemade donut shop next to the studio where I teach spinning.) TERRIBLE COMBINATION. Thank you! 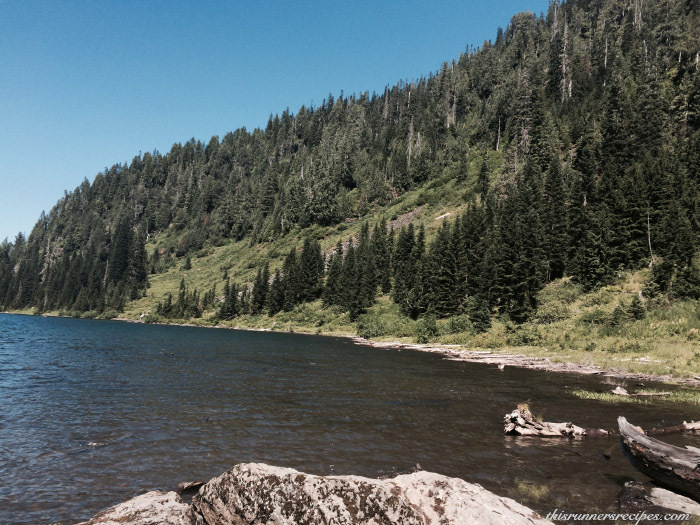 You really should visit the REI store when you move here – it’s not far from UW! 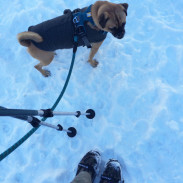 If you ever want some hiking buddies, let me know – Ryan and I are out hiking every weekend! I’m obsessed with Top Pot Donuts here, which you must try if you like donuts! 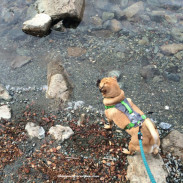 Gorgeous pictures from your hike! Makes me so jealous 🙂 My mom makes her own pickles which I love… I should really learn how to do that sometime soon. While I think a mountain house would be beyond incredible… long term I would prefer the beach. Hope you have a fabulous Thursday! Thank you! Homemade pickles sound awesome – you gave me an idea for my next kitchen experiment! 🙂 Have a wonderful Thursday! OH…and to answer your questions…I love to try and make anything I can from scratch. Lately, that has not been much due to lack of time. BUT…muffins, pancakes, scones, cookies….pasta sauce…whatever I can find that is EASY! Oh I’m a mountains girl, hands down. I like to visit the beach every now and again, but the moutanisn feel like home. And there’s really no other place where I feel that kind of peace and contentment. If I could drop everything and move there? Yeaaah I probably would. The mountains really are the best. Ryan and I would totally live in the mountains if we could, because there really isn’t a more peaceful place.